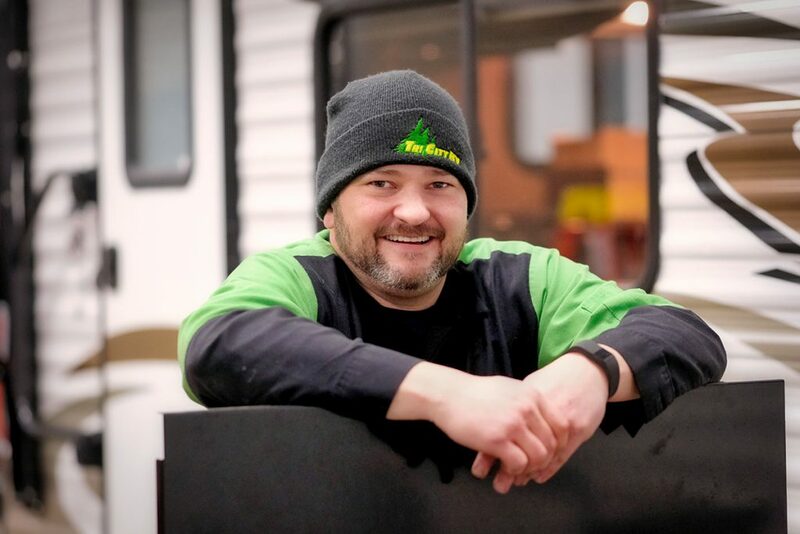 Myke worked in the RV industry for two years before joining our Service Department in 2018. He loves his job. “The people here are amazing. The knowledge I have gained since my first day is amazing.” In his free time, Myke enjoys time with family and working on projects such as adding a pond or bench to his landscape. I love that this industry and most things about camping bring families together. I love venison backstraps cooked over a coal style firepit. I enjoy camping at River Ridge Family Campground in Breckinridge. It’s close to home. There’s lots of activities and a nice river to enjoy. I love knowing that I can wake up in the morning and go to a job I like and then come home to my family. I appreciate that we’re able to do what we please. I am grateful to have a fun and no-matter-what caring family. On every repair, and in every interaction, I will treat your RV as if it was my own. I respect your hard-earned investment.